Last year, Texas experienced its best year on record in more than five years for total swimming pool permits on file with HBW. Based on the HBW database, swimming pool construction in the Lone Star State finally climbed out of its three-year decline. In the combined metro areas of Dallas, Houston, San Antonio and Austin, Texas experienced a 12% year-over-year increase in new swimming pool construction, resulting in 8,558 new permits on record. Every major metro area exhibited annual increases in new pool construction activity ranging from 8% to 26%. With a 9% year-over-year increase in new permits, the Dallas area had approximately 4,450 swimming pool starts – ranking it #1 for total new swimming pool permits on file for the year. Next in line, Houston ranked second-highest for new permits; with a 14% year-over-year increase in swimming pool starts, the Houston area had 2,450 permits added to the HBW database last year. 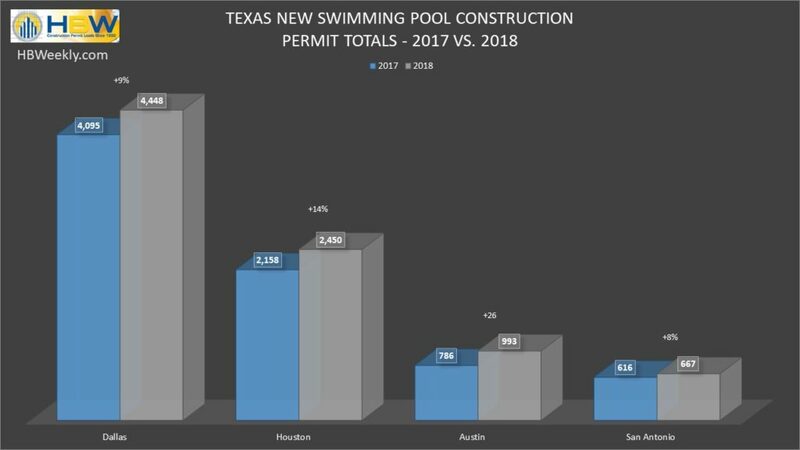 The Austin area demonstrated significant growth in swimming pool construction last year, having a 26% year-over-year increase in new construction that resulted in nearly 1,000 new permits. 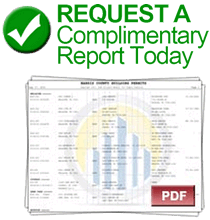 Finally, San Antonio and its surrounding areas experienced an annual boost of 8% that resulted in nearly 670 new permits on file for the area. When reviewing new permits from a county-by-county perspective, Harris County (Houston) ranked #1 for total new permits on file last year; with a 13.5% year-over-year increase in pool starts, there were 1,420 pool permits added to the HBW database for Harris County last year. Other counties where swimming pool construction is on a high include: Collin County (1,139 permits) and Tarrant County (1,101 permits) in the Dallas area. Counties that demonstrated the greatest annual increases in new pool construction include: Williamson (+45%), Brazoria (+36%) and Galveston (+31%).